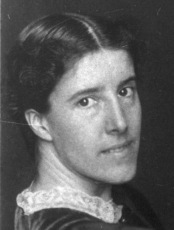 With such a patent social message behind her story, the success of The Yellow Wall-Paper depends precisely on the skill with which Gilman depicts the descent of her central character into madness – and so, in practice, her literary and political ambitions in composing the piece coincide. There are a number of techniques Gilman uses in her narrative to this effect, but the most famous and impressive is the fiction of the wallpaper itself. In this – assuming we are to believe her own testimony – Gilman was not reproducing her own experiences. She says quite specifically in ‘Why I Wrote The Yellow Wallpaper ’: ‘I never had hallucinations or objections to my mural decorations.’ Her use of the wallpaper is, therefore, a literary device that combines in an entirely new way a number of familiar gothic elements: an apparently unsolvable mystery or puzzle; a heightened sinister meaning attached to a colour; hallucinatory experiences in a bedroom at night; the doppelgänger idea; a mysterious and penetrating odour – and this is certainly not an exhaustive list. What Gilman adds to these well-known tropes is her acute psychological analysis of the character she has created. Rather than try to directly reveal or describe her character’s inner mental state, the wallpaper – in all its many guises – serves both as the focus of her incipient madness and also appears to mirror her mental state at different stages in the story.